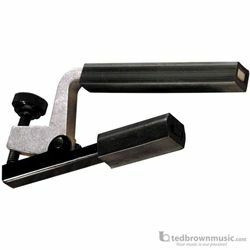 The Pro/Am is an economical and portable Kyser® capo for six string (radius fret board) or classical (flat fret board) guitars. Kyser® Pro/Am capos are professional quality and made from lightweight aluminum. The tension screw allows for precision adjusting, and it’s non-marring and non-reactive to guitar necks.